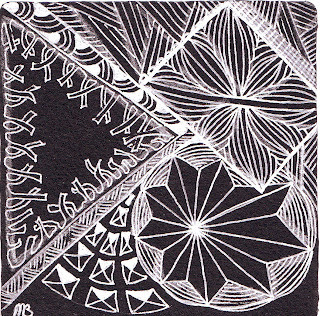 Sue Clark at Tangled Ink Art has provided us with the uncomplicated idea of a string using a square, a circle and a triangle. Sometimes we can turn the simplest of things into complications... no not me I like ease and relaxation with a touch of sparkle. 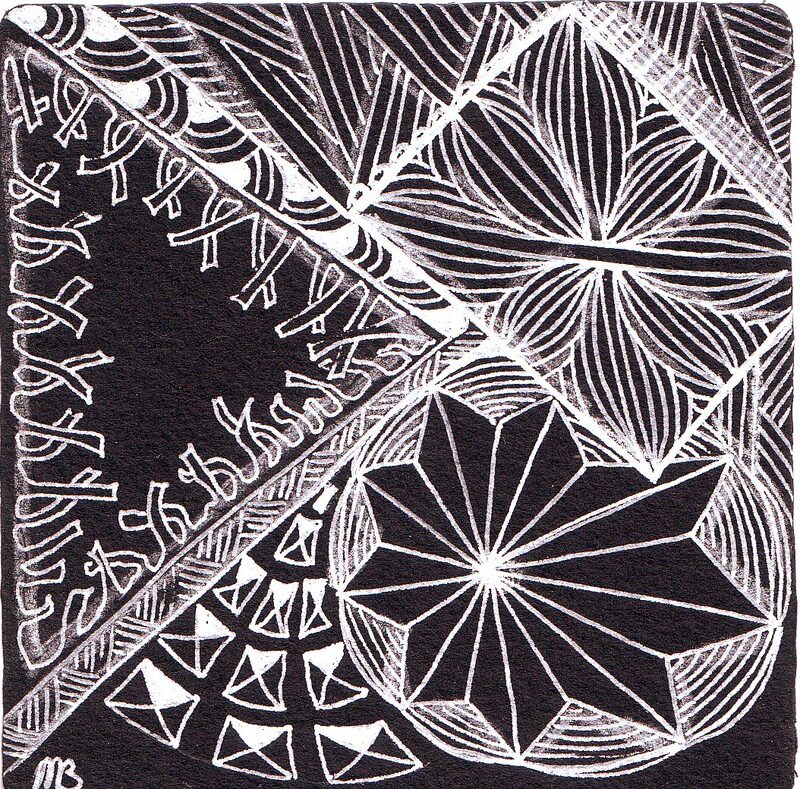 I thought it was a great chance to try the beautiful new black Zentangle tiles. The gelly roll pen flowed nicely with just the gentlest touch. 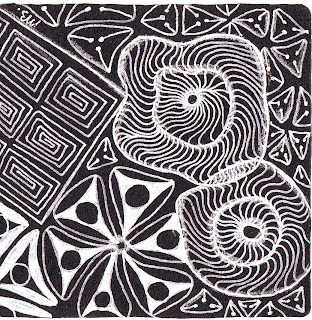 Luckily the charcoal pencil arrived yesterday in my 'box of very good things' from Zentangle. Oh what a sparkly kind of day! Love them both! They do "sparkle" and so does your new blog look-wonderful! 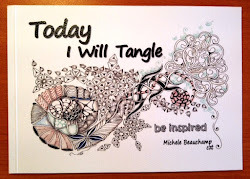 I see your popsicle tangle in the second one - I'm practicing this one since I really like the effect but I have a little struggle, but maybe I'll try it on my tile this week.... Cool work on the black. Very nice! I love the black tiles - it makes the patterns "jump"! They are lovely! I'll have to try white on black. Wow, they just leap of the page. Super sparkly inspiration. Can't wait to try the white on black. These are both gorgeous. 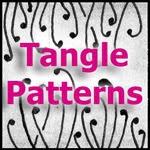 I love the way you combined the tangles.